Known for her use of unusual materials like shells, coins, horn and fabric, Kolkata-based Rohita Bhaskaran brings her brand of semi-precious jewellery to the city this weekend. Inspired by nature, literature and art, the self-taught designer works mainly with brass, copper, silver and semi-precious stones like kundan crystals, turquoise, topaz, lapis lazuli and agate. 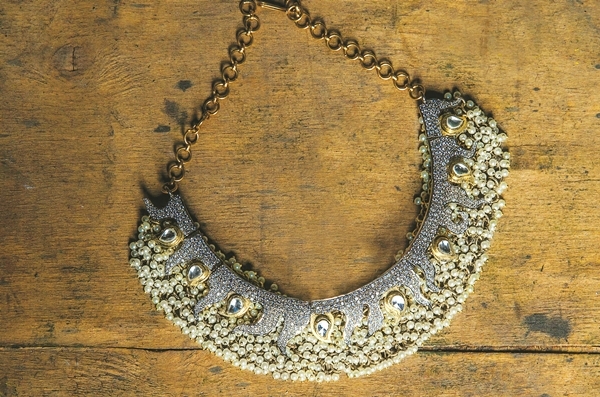 Expect pieces featuring peacocks and lion heads, and earrings and rings with floral motifs. 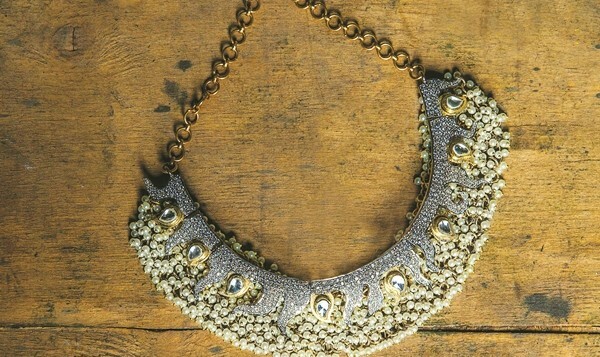 While offering a mix of ear cuffs, hand harnesses, bracelets, earrings, rings and necklaces, Bhaskarana��s go-to statement piece for the season would be the navratna necklace (Rs 12,000) inspired by the Rajput royals. Also look out for interesting filigree work in the collection. An English honours graduate from Kolkata University, Bhaskaran started out with pen-and-ink sketches. a�?I would have exhibitions of my work, which was mainly the female form. And even those images had detailing in form of the womana��s outfit, jewellery features, etc,a�? she informs us. What began as a part-time occupation, with trinkets like bracelets and earrings, was a jewellery brand by 2008. a�?Over time, it led to a flagship store in Kolkata,a�? says the 42-year-old, who has showcased her collections at Bridal Asia 2007 and Lakme Fashion Week Summer Resort 2013. Available in Delhi and Mumbai, Bhaskaran describes her jewellery as something made from a�?anything that can be styleda�? and looks up to American designer, Marzia G, who is also known for bold, unusual designs. a�?Ia��d have loved to have met, studied under and even designed for Mexican artist Frida Kahlo,a�? she confesses. Among the jewellers, her favourites are Jaipur houses like Birdichand Ghanshyamdas and Amrapali.